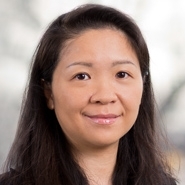 Of Counsel Weiwei Luo (Washington, DC) will speak at ChemicalWatch's 1st Annual Chemicals Management for Electronics and Electricals USA Conference, taking place in San Francisco, CA, from November 8 to 9. The event will feature talks from expert industry speakers, informative panel discussions and the opportunity to network with important figures in the world of chemicals management for electronics and electricals. Weiwei will deliver a presentation titled "Updates from China - Articles and RoHS," which will take place on November 8 from 1:45pm to 2:15pm (PST).